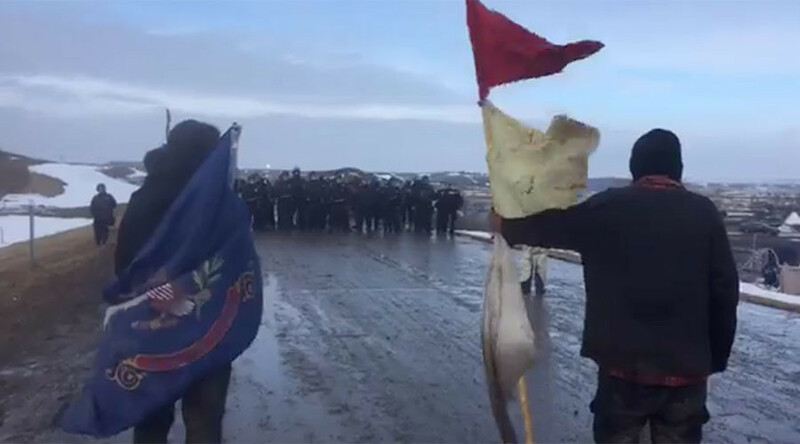 Hundreds of police in riot gear and carrying night sticks arrested several of the final Dakota Access Pipeline protesters remaining on federal land in violation of orders to vacate by the governor. 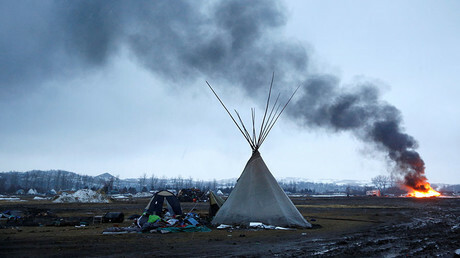 Protesters consider the land to be indigenous property, Standing Rock, under treaty. Enforcements included units from the Wisconsin State Troopers and Morton County officers, according to Unicorn Riot, an independent media collective. The collective also reported seeing a National Lawyers Guild observer being arrested. Police regrouped following several arrests, returning to formation opposite protesters on the road. Remaining protesters anticipated them rushing at any moment. Several minutes later, the police backtracked their position, initially seeming to leave room open possibly for more back up or vehicles to arrive. Instead, with little sunlight left, and an announced clean-up of the land scheduled for Thursday morning, it appears no further arrests will be made Wednesday. As police backed up, a small group of military veterans aligned with the protesters advanced their own line, keeping a distance of many yards before eventually dispersing for the night. Native activist Eric Poemz was arrested while livestreaming, and can be heard complaining of a broken hip during the recording. A Facebook page called Inspire Bank Exits carried a livestream.